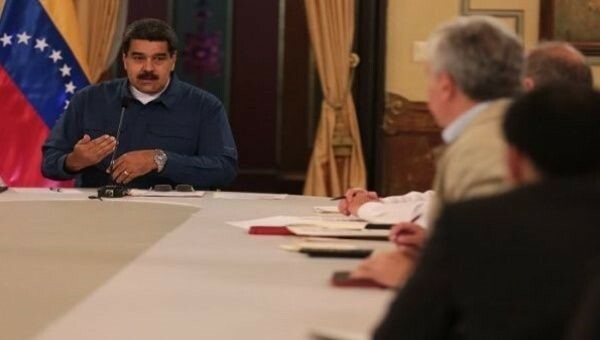 TeleSur: “We are heading towards normalization, to a country of stability with the Recovery, Growth and Economic Prosperity plan,” said the Venezuelan President. Venezuelan President Nicolas Maduro stated Monday in a press conference that the country will begin a new economic system of wages and prices rooted in the Petro currency. “Venezuela will have two currencies, one being the Sovereign Bolivar, the other one the Petro. This will introduce a fundamental change,” he stated. According to Maduro, by 2020, “the nation will be able to recover economic and social stability and prosperity.” “We are building a new revolutionary and humanist economic thought, with a new strategic economy for a new economic model. On August 20, a new era will begin,” he added.